Torbjorn’s Daughter, Brigitte Lindholm, announced as Overwatch Newest Hero! Welcome the Support / Tank Hybrid! The newest hero of Overwatch has finally been revealed! 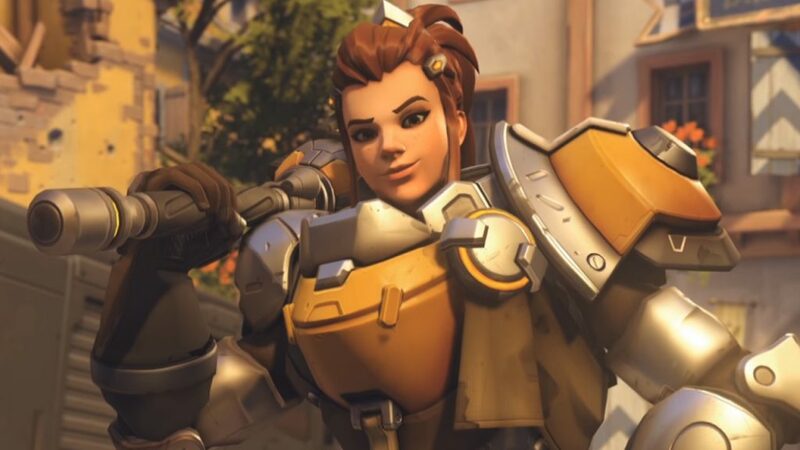 Please welcome the Brigitte Lindholm, daughter of everyone’s favorite Turret-builder Torbjorn! As was theorized by many, the upcoming 27th hero of Overwatch was indeed a Support Hero. We’ve seen in her in other Overwatch materials like Reinhardt’s Animated Short “Honor and Glory” as well as in the Overwatch Comic “Dragon Slayer”. But let’s get to know a bit more about her. 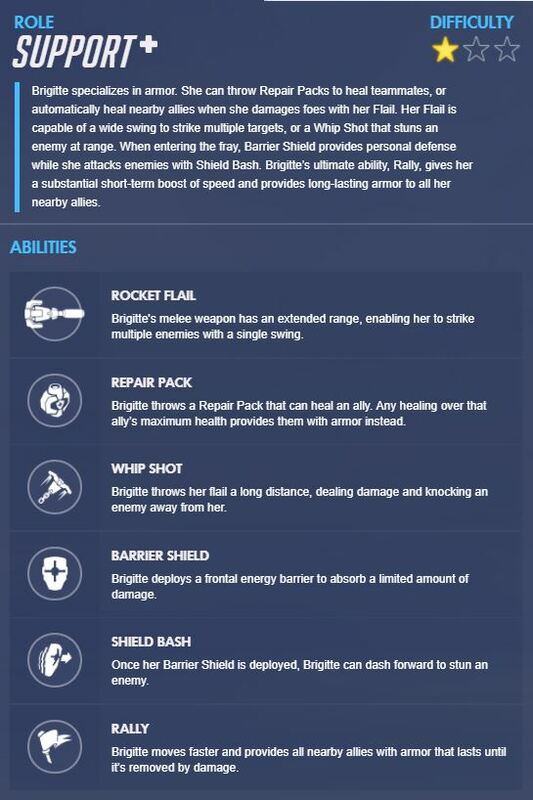 Brigitte is the youngest daughter of Torbjorn and is a 28 year-old Engineer / Adventurer. She has a love for armor and defenses which is a bit of a contrast from her father’s specialty of weapons creation. Instead of becoming Torbjorn’s apprentice, however, she ended up becoming a squire to family-friend Reinhardt. It was during this tenure that she became closer and closer to Reinhardt. Soon, she eventually realized that she would be a greater help to him as a fellow warrior rather than just a mechanic. She trained under Reinhardt and she even made her own suit of armor. Of course, what probably matters most to players is WHAT CAN SHE DO??? Check out her skills below! Want to know more? 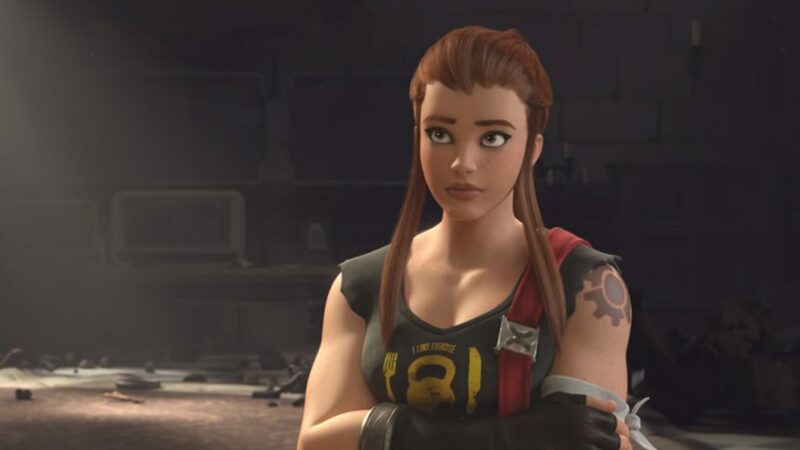 Well, the Overwatch team has already uploaded her ORIGIN STORY and a DEVELOPER UPDATE on Brigitte Lindholm! Check it out here! If you’re as excited to try her out as we are, she’s currently live at the OVERWATCH PTR right now! Next article8 classic console RPG’s that we’d like to see remade or remastered and not re-MEH’d!